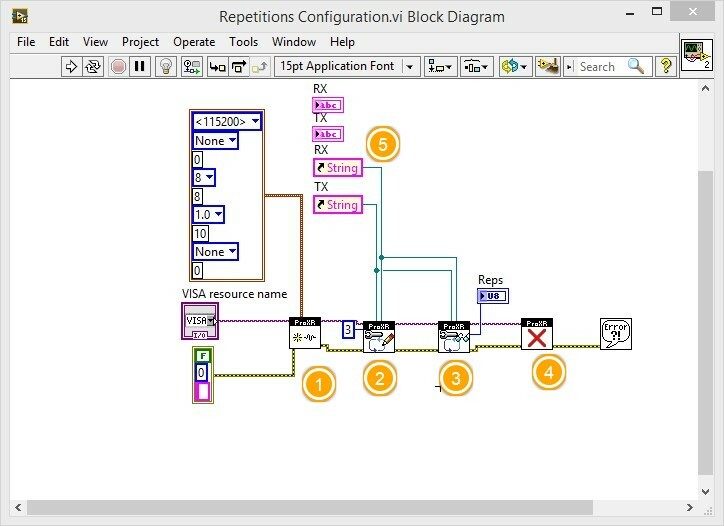 In this LabVIEW Relay Controller Advanced Configuration guide we will learn how to set relay delay, read delay, set, read relay bank values and relay test bench. 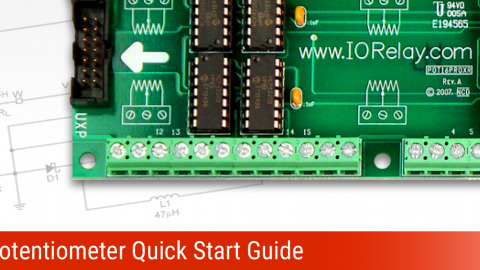 Following figure shows the steps for this guide. Their detail follows the figure. Details of steps is as under. 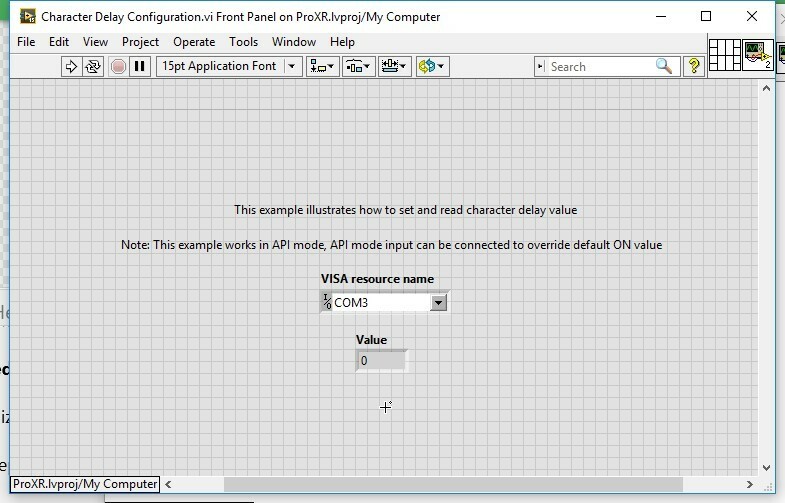 Port is initialized in Initialize VI with fixed baud rate of 115200. Set Character Delay VI is placed. 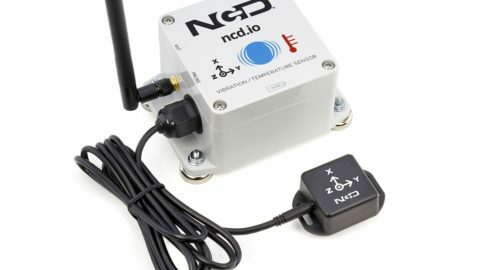 It sends the command and also verifies the returned status. 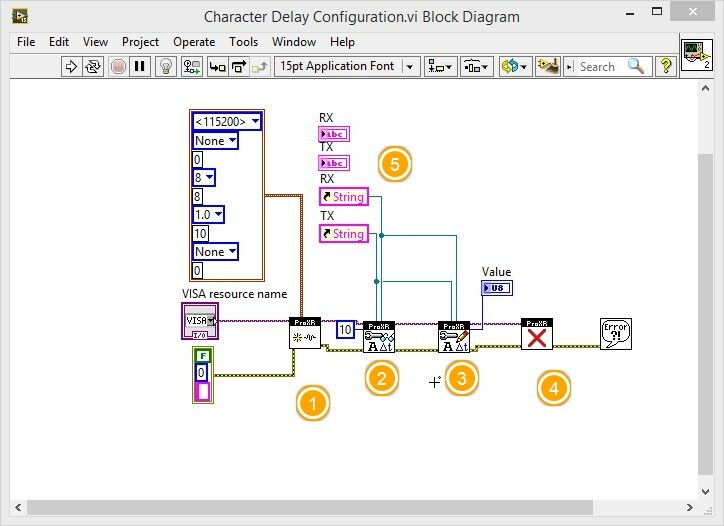 Read Character Delay VI is placed which reads back the saved value. 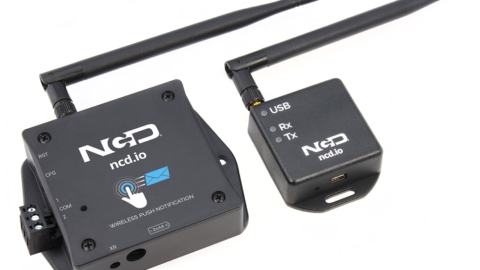 Text boxes for TX and RX data are placed and their references are passed to the Instrument VI which display the serial data sent and received by the instrument driver. This guide illustrates how to set repetitions value and read it back. Set Repetitions VI is placed. It sends the command and also verifies the returned status. 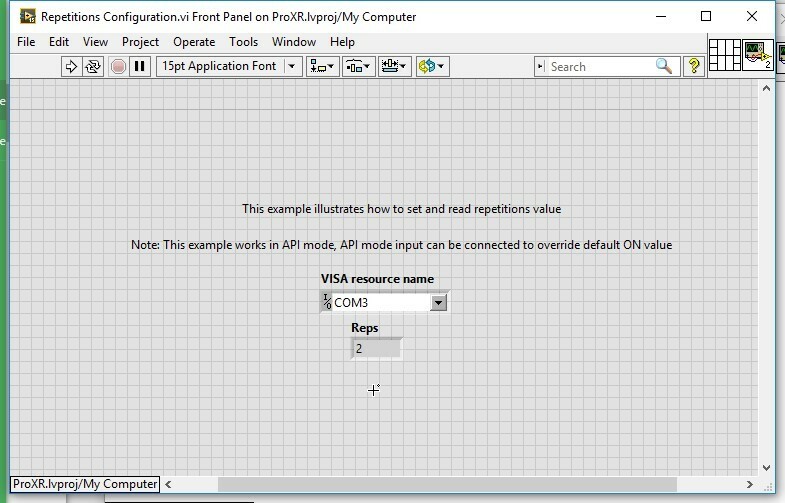 Read Repetitions VI is placed which reads back the saved value. 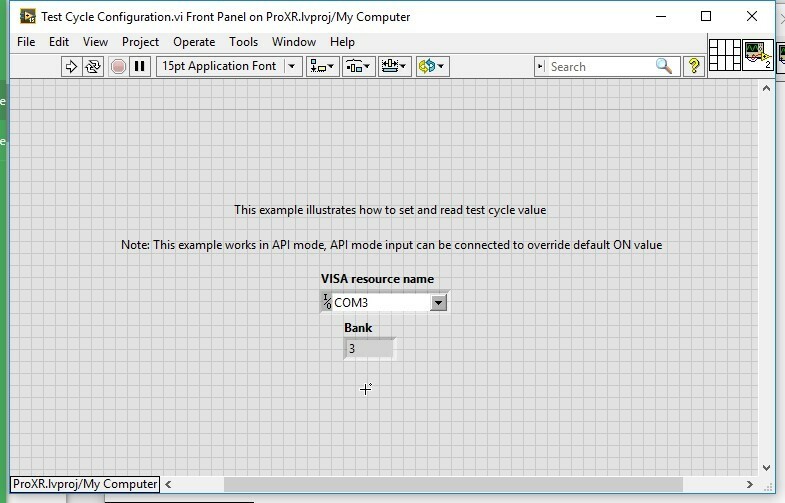 This guide illustrates how to set test cycle value and read it back. Set Test Cycle VI is placed. It sends the command and also verifies the returned status. 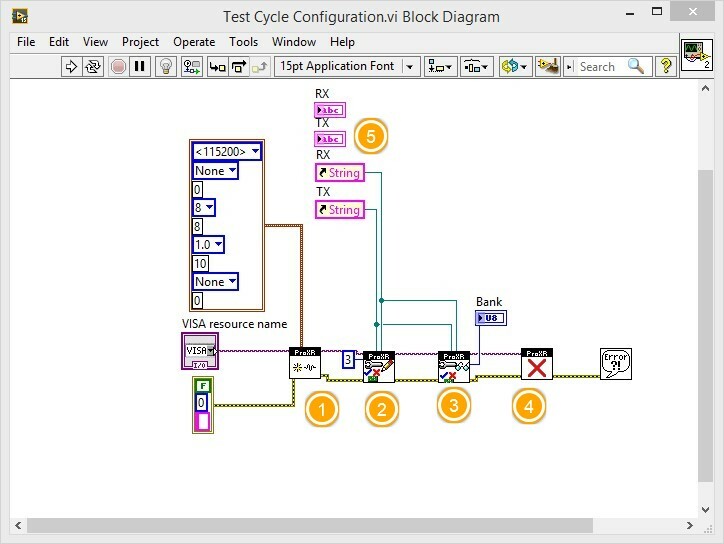 Read Test Cycle VI is placed which reads back the saved value. 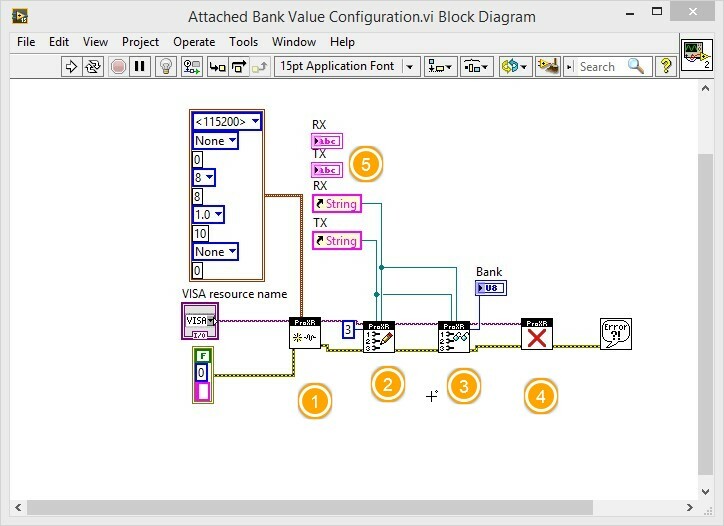 This guide illustrates how to set attached bank value and read it back. 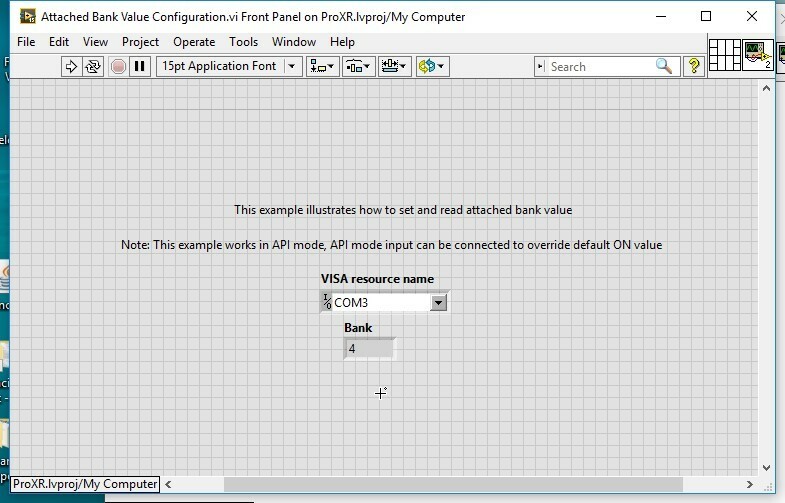 Set Attached Bank Value VI is placed. It sends the command and also verifies the returned status. Read Attached Bank Value VI is placed which reads back the saved value. 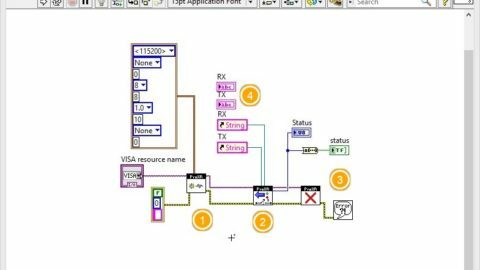 To Download the Labview Relay Driver and relay controller checkout Installing Labview relay controller Driver.